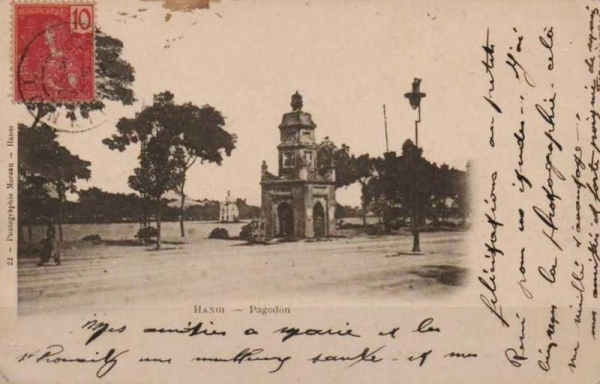 To appreciate the past importance of Hoan Kiem Lake to the people of Hanoi, we need to be aware of pagodas that are no longer standing. 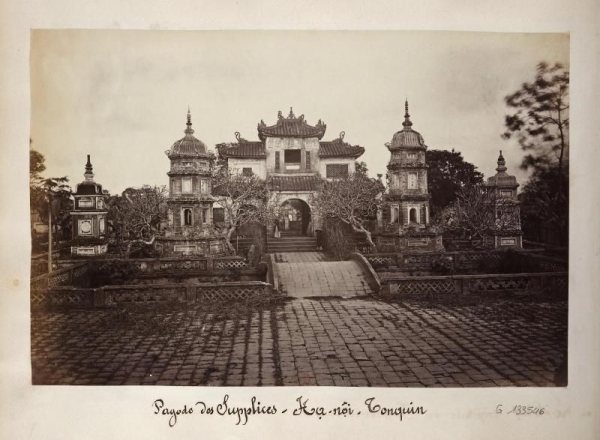 Some of these were large complexes, housing monasteries, temples, pagodasand meeting rooms. 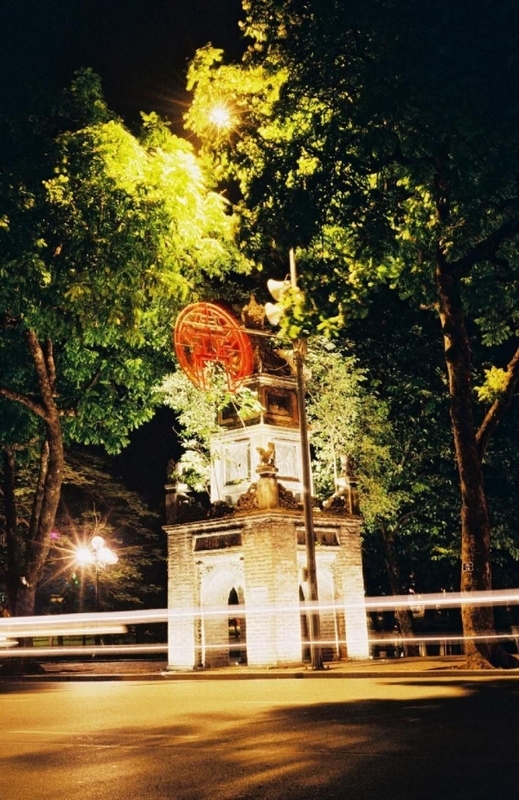 The Hoa Phong tower is located on Dinh Tien Hoang Street, Hoan Kiem district in front of the Central Post Office, on the shore of Hoan Kiem Lake. 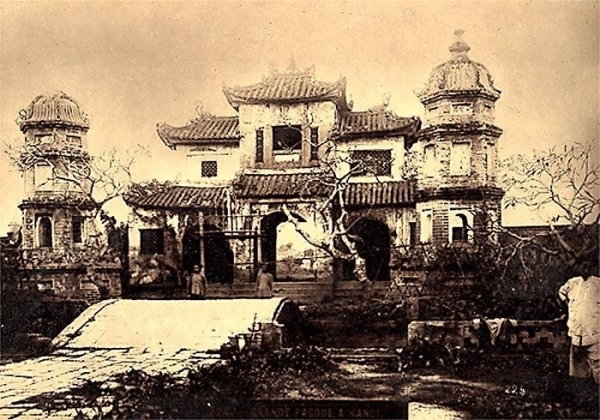 Bao An Pagoda was on the floor of the old Five Dragons (Trinh Giang built in 1740). 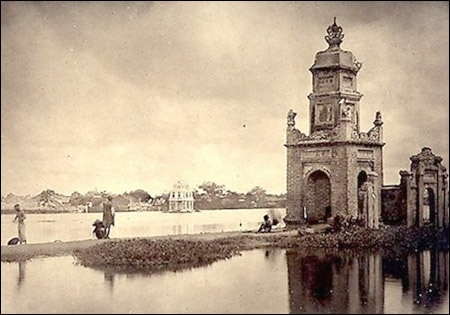 The pagoda was also called Lien Tri pagoda, surrounded by water moat and lotuses fully covering the moat surface. 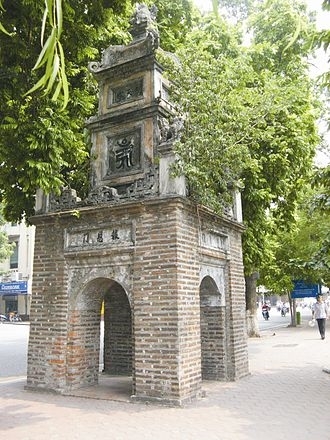 The Hoa Phong tower is the last vestige of Bao An pagoda under Hanoi General Nguyen Dang Giai who took responsibility to raise money to build the pagoda in 1842. 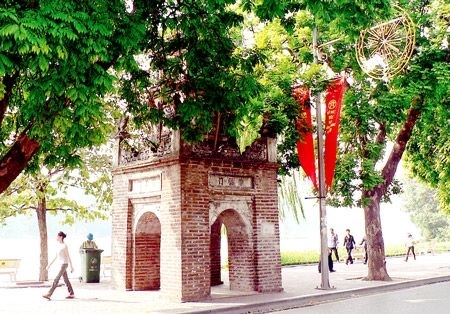 The bulky Bao An pagodatook four years to complete construction. 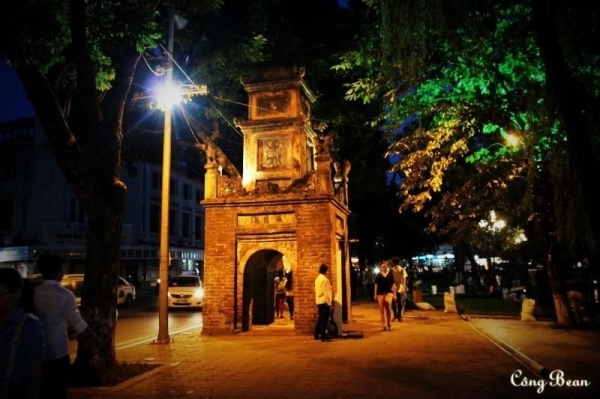 After the French colonialists occupied Hanoi (1883), they immediately built streets, Dinh Tien Hoang Street is one of the first to be opened. 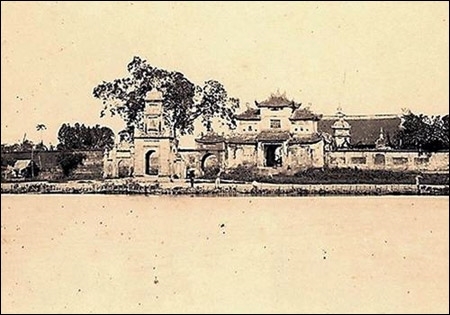 In 1882, Bao An pagoda was pulled down to build the Post Office and governor of Tonkin’s residence at the back. This is now the Government Guest House. 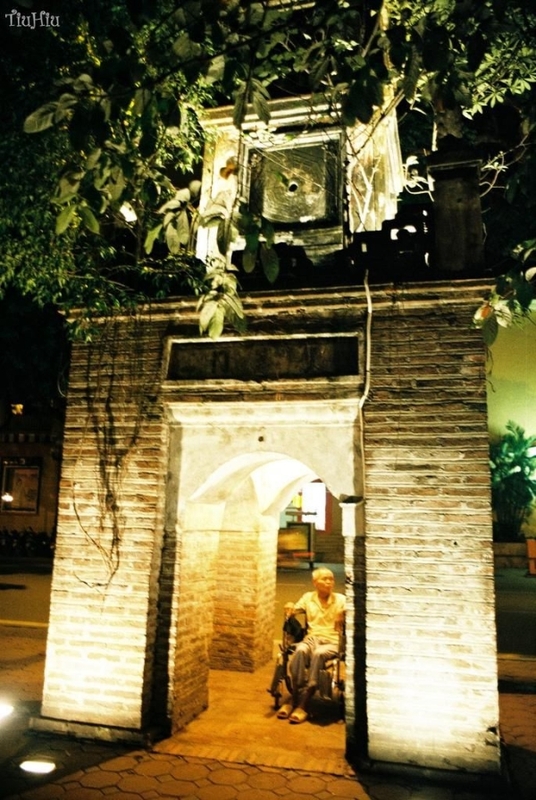 But they still left a temple door in front of the Post Office and a tower after the pagoda named Hoa Phong tower. 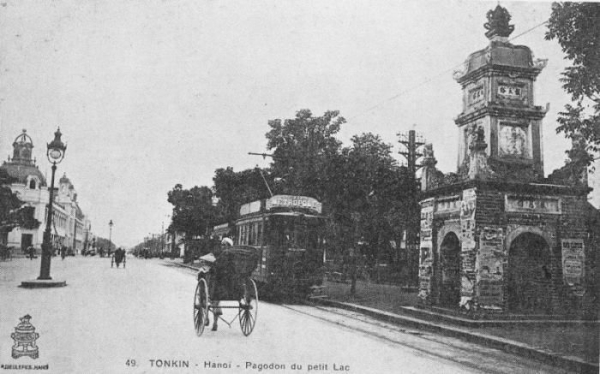 In 1898, they demolished the temple gate and the only the tower remaining. 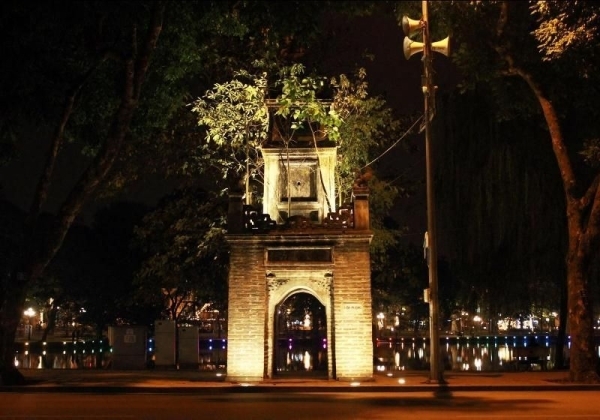 The tower is in square shape and the name Hoa Phong meaning 4-season favorable winds because four doors look in four directions. Unicorns stand on the corner columns. 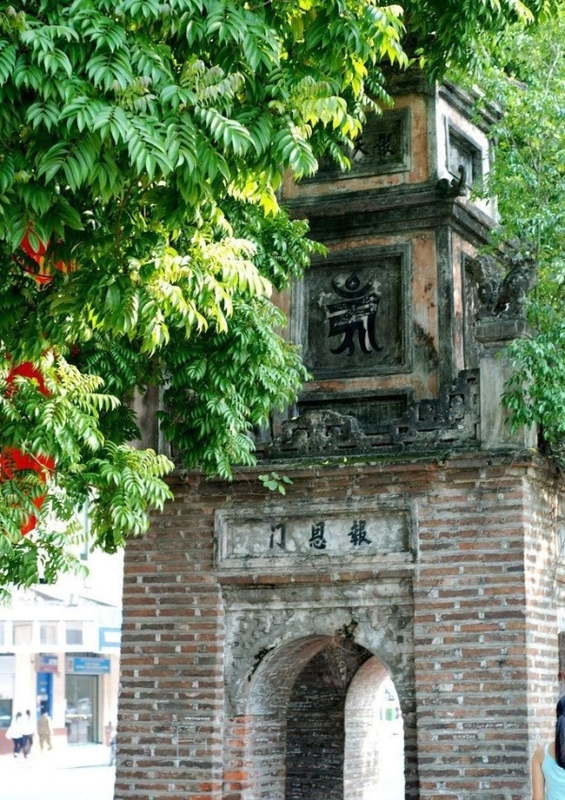 The upper part of the tower is narrower and the four roofs constitute a gourd, symbolizing the sky in miniature. 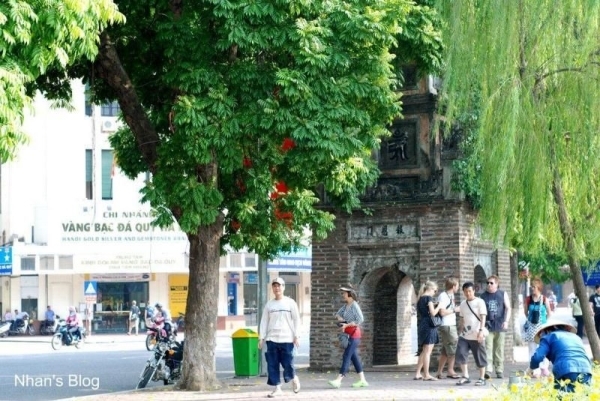 Bricks from the famous Bat Trang ceramic village were used in the second layer. 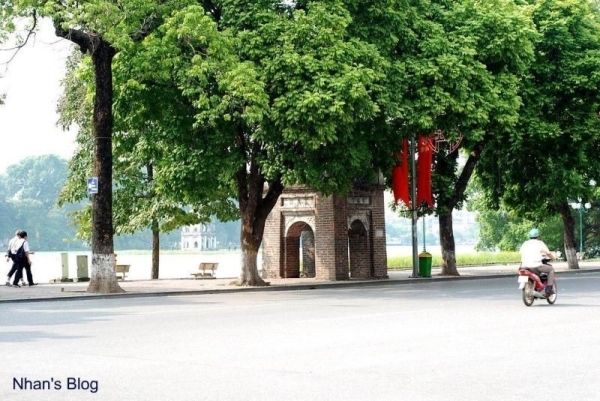 Bao An pagoda was built on a large scale of about 360,000 square meters. 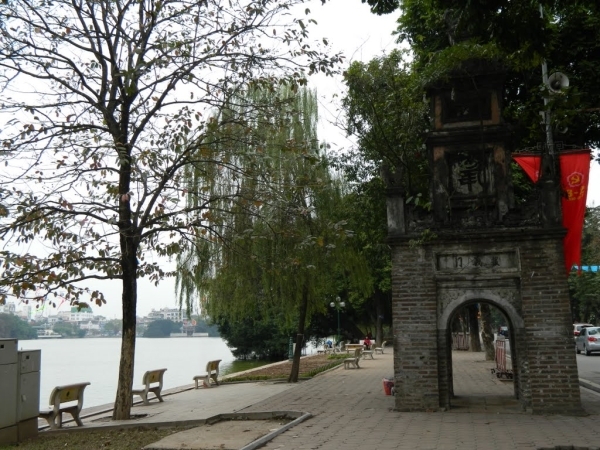 The front of the pagoda overlooked the Red river, and the back of the temple was based on Hoan Kiem Lake. 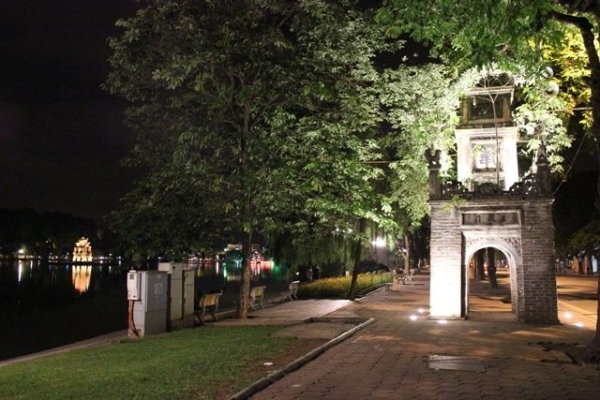 On the pagoda foundation were 36 houses with 180 chambers, lots of corridors, steeple, tower bridge. 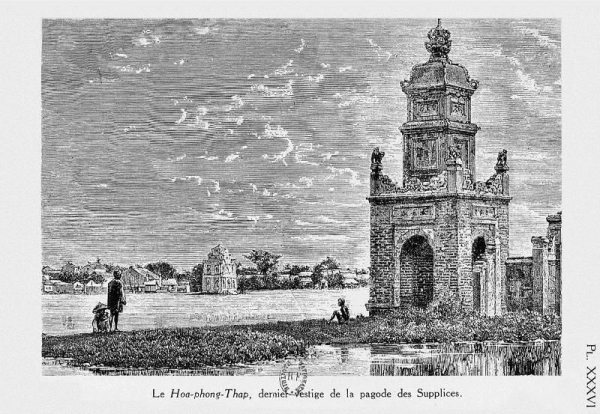 It was built on octagonal ground (8 corners, 8 edges), surrounded by walls, a moat covered with lotus. Lush trees grewproviding shadein four seasons. 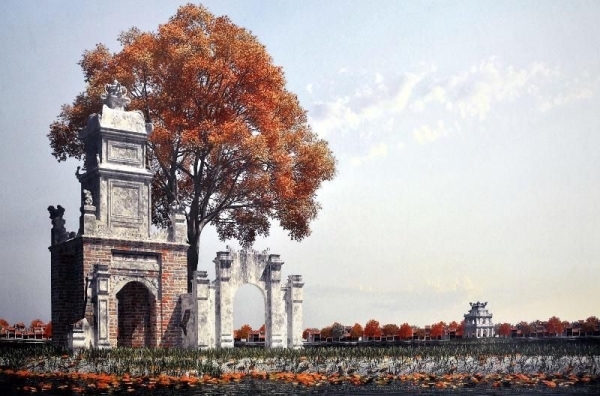 Two letters Bao An mean causal retributive theory of Buddhism. Those who do kind works will be returned to the Earth as human beings. But those who cause cruelty will be punished, and demons will take them.